EU is developing a new data protection law. What will it change in the cryptocurrency business? 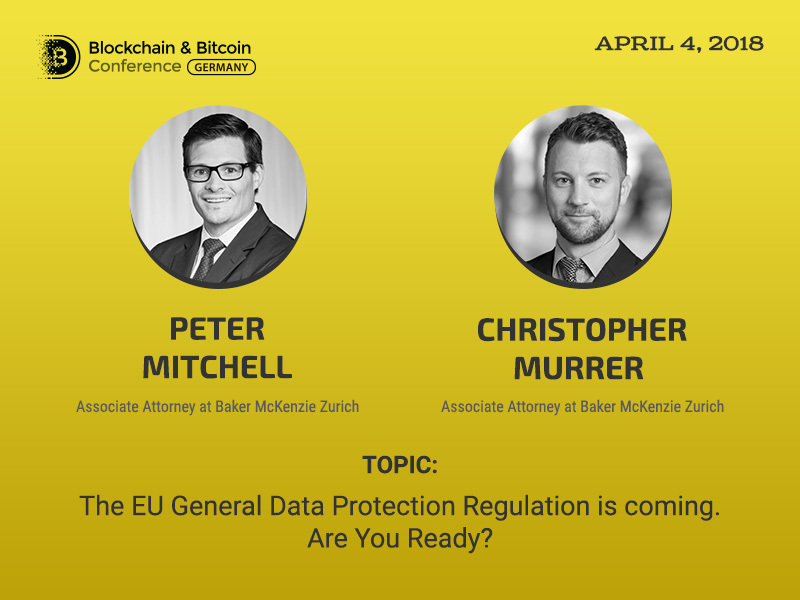 Peter Mitchell and Christopher Murrer, associates at Baker & McKenzie Zurich (Switzerland), can answer this question. At Blockchain & Bitcoin Conference Germany, they will thoroughly examine this issue. EU General Data Protection Regulation, developed in 2016 and becoming effective in 2018, prescribes the new rules for collecting and applying user’s personal data. It refers to website information as well as algorithms for studying target audiences and forming databases of customers and service users. Blockchain companies operating on the Web and registered within the European Union (including such popular jurisdictions as Switzerland, Estonia and Gibraltar) should understand all provisions of the new law and realize how their businesses can be changed when they come into force. It is these aspects that Peter Mitchell and Christopher Murrer will reveal in their presentation. The experts are associates with long-term experience in the international taxation sector. Mr. Mitchell has a Master’s degree in Taxation. He has been engaged in insurance litigation for several years. Mr. Murrer has seven years of practicing as a domestic tax and estate planning attorney in New York and Washington, DC.